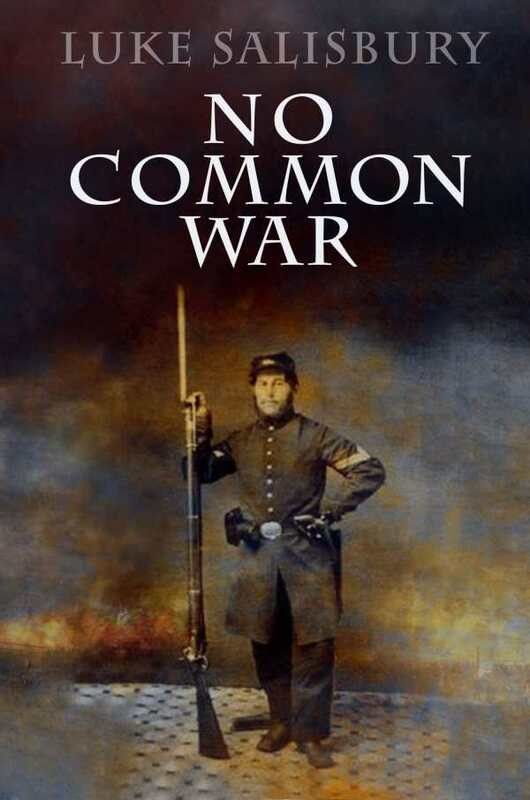 Luke Salisbury’s stunning Civil War novel No Common War brings America’s bloodiest war to life through the eyes of a father, a son, and those who care about them. Mason Salisbury, a staunch abolitionist, has seen the cruelty of slavery first hand. His son Moreau, called Ro, is an equally staunch pacifist—until he befriends a runaway slave. After Fort Sumter, Ro enlists and marches off to war with other young men from his small town in upstate New York. Though it is narrated by both son and father, Ro emerges as the book’s main character. Also taking the stage are his mother; Merrick, his cousin and fellow soldier; Helen, the girl he leaves behind; his uncle Lorenzo; and several fellow soldiers with whom Ro grew up and forms tight bonds. These characters are drawn from Salisbury’s family stories; they are dimensional and complex from the first, and anxiety over their fates propels the story. The text recreates battle scenes in granular detail, etching them in acid. It captures the isolation of soldiers within their own tiny cadres, picnickers who turn up to watch the first battles but leave disappointed at the lack of fierce fighting, and families traveling by wagon to battle sites in hopes of identifying and retrieving their dead or wounded kin. Such sharp details build a sense of realism that ratchets up tension each time Ro and his comrades take the field. The effects of the war on families at home are clear, too. Those who leave to fight never return the same, and the North is seen mourning for its lost innocence just as the South does. The book perfectly captures the pitch of the national upheaval and its emotional traumas. Beautifully written, No Common War ranks as one of the best war novels in decades.